The NHL All Star Game is one of the most exciting events in Hockey every year. The game consists of many of the NHL’s top players competing against each other. For much of the NHL All Star Game’s history the game was between the top players in the Eastern Conference vs. the top players in the Western Conference. In 2010-11 the format of the NHL All Star Game was changed to feature a player draft which is governed by the All Star players themselves. The captains for each team select players from a pool that is decided by fan voting and the NHL. 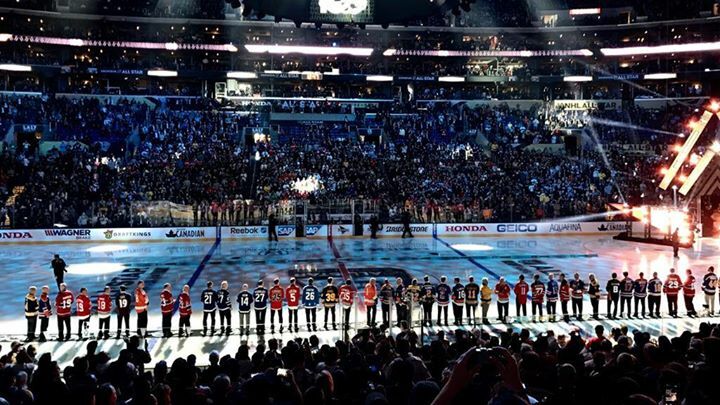 In late 2015, the NHL All Star Game format was changed again, to feature 4 teams, representing each of the NHL Divisions, competing in 3, 20 minute games. The winning teams from the first two games will battle it out a winner take all championship game. The location of the NHL All Star Game changes every year and the game has been played in almost every team’s home city since the inception of the event. The NHL All Star Game offers fans to see the best hockey players in the world on the ice at the same time and is one of the can’t miss events in hockey every year.